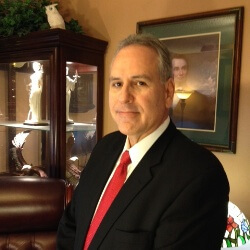 As a licensed attorney in Texas, questions are usually asked during conferences with clients regarding their rights to “arm” themselves and to what extent they have a 2nd Amendment right to arm themselves. It is not a simple question to answer especially to a person not familiar with the United States Constitution and its interpretations. Understanding the 2nd Amendment to the United States Constitution is not like understanding the rantings of a politician’s empty promises. If a person wants to understand the true meaning of this important piece of our history, we must look at the meaning of the document, like any other historical document, and look into its historical context. America, 200 years ago was not the America of today. America was not a “superpower” with a substantial and powerful military. It was a frontier country still depending on England and other European countries for its products. The 2nd Amendment is a brief statement of what our founders believed to be an important facet of American Life at that time. The Amendment opens with a recitation about a need for “a well-regulated Militia…”. But then, the Amendment declares that the right secured by the Amendment is a right that is to be free of “infringement” meaning the right is not just a right of the state or of the United States to provide a well-regulated militia. Rather, it is the fundamental “right of the people to keep and bear Arms”. Who are they referring to when “people” are mentioned? The “people” and the state or the United States are one and the same entity. “A well-regulated Militia, being necessary to the security of a free Republic, the right of the people to keep and bear Arms, shall not be infringed.” At the time it was written, the “people” were the Army, Navy, Marines, etc. We had no military such as we do today. The defense of this young country was in the hands of its inhabitants being mostly all immigrants, rural farmers raising crops and animals. So why are there so many misunderstandings about this important and popular Amendment? The problems arises then today’s society tries to make a connection between a “Militia” and about “people’s rights”. Why should the two issues be connected? Obviously they are connected so which one takes priority in interpreting the 2nd Amendment? Should it mean that a “Militia” is necessary to protect the interests of our country? Therefore the people in the Militia should have arms. Are these one and the same? Or, is it two separate entities and read as two different statements, one being the Militia and the other being the individual with their rights to bear arms. A Militia in the 1700’s is not the same as a Militia in current times. If it was the same, then a Militia would be a uniformed body of troops under the command of the government or current administration. Hence no private individual “right” to arms would exist. A “well-regulated Militia” was necessary for early America because that was the basis of our country’s military. This could only be attained by “the people” and would only be of use if the people were equipped and skilled with arms. Hence the individual right to keep and bear arms was essential. However, in today’s society, the definition of our right to keep and bear arms has been evolving to a point where the rights of Americans are being infringed by the same people that demand an expanding definition of the 2nd Amendment to the detriment of other people’s right to live in a society free from gun violence originating from the broad and unrealistic application and interpretation of the 2nd Amendment.